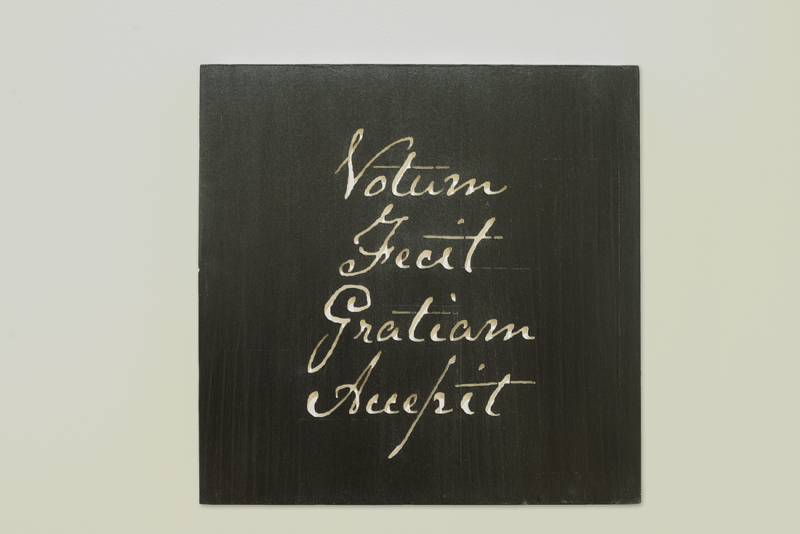 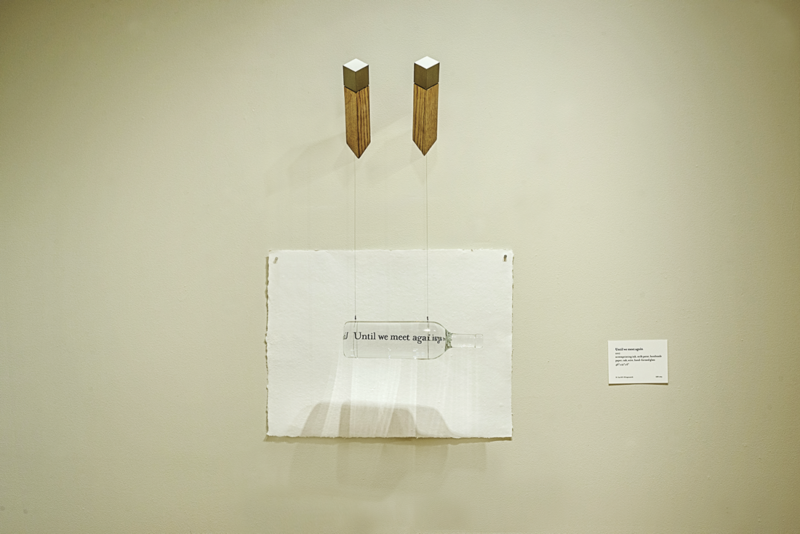 This exhibition represents a new collaboration between typographic artist Bill Klingensmith and his wife, sculptor Robin Cass. 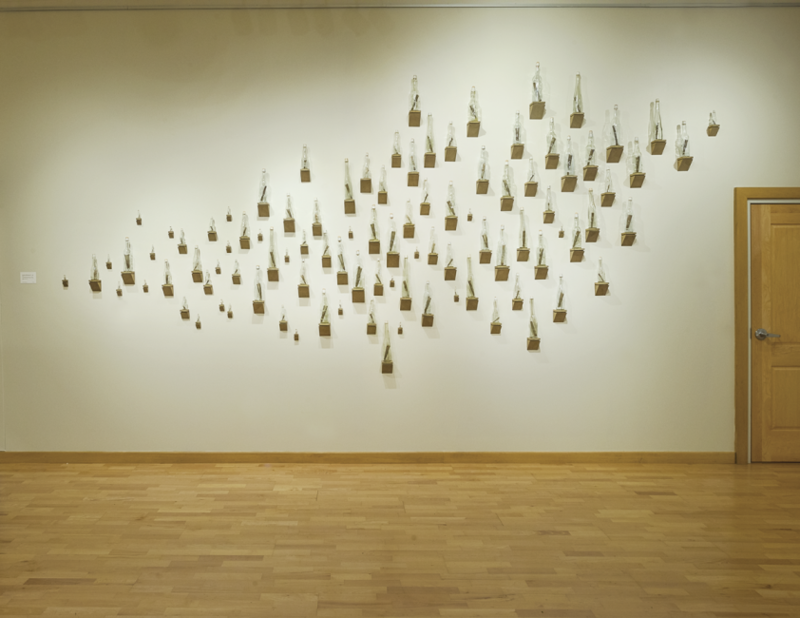 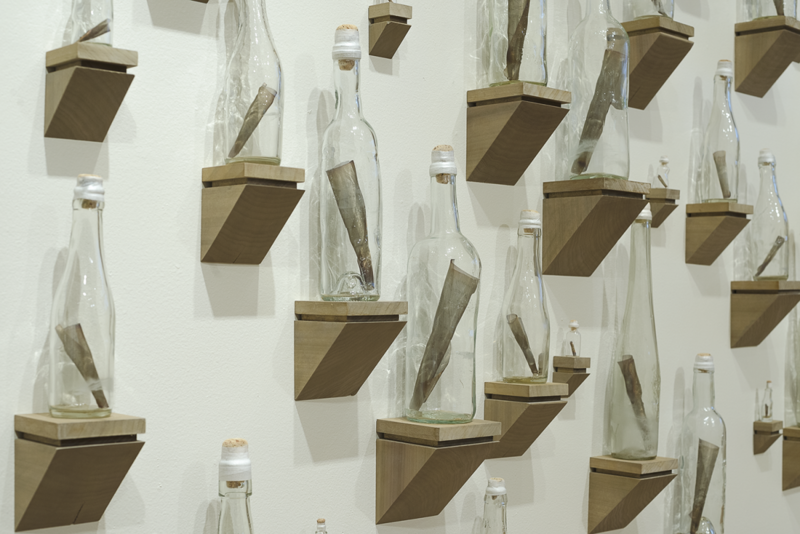 The artists were inspired by a shared interest in the age-old trope of a “message in a bottle”. 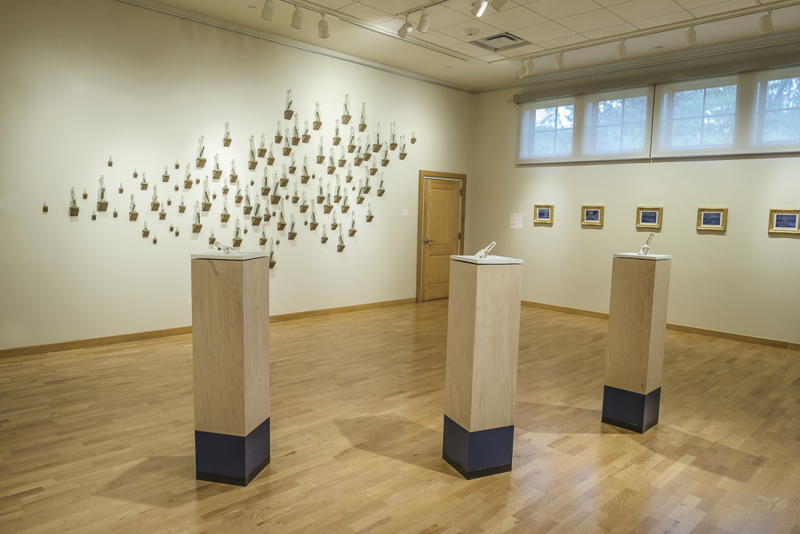 In addition to the compelling metaphoric associations, the combination of text and glass at the center of this phenomenon presented intriguing possibilities. 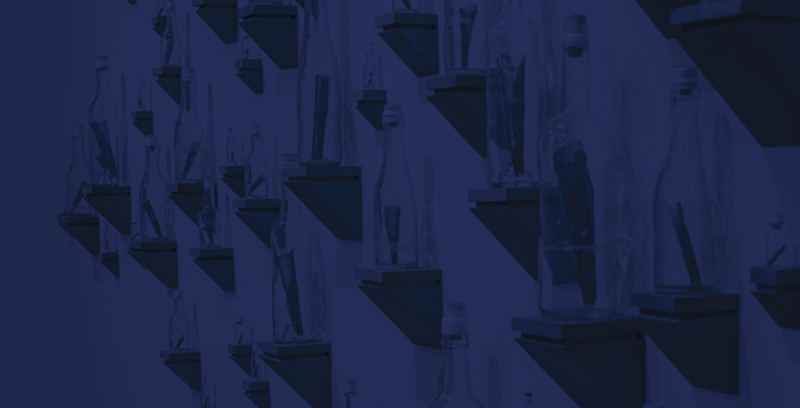 Thousands of messages sealed in glass were actually tossed into the ocean — and those that were found are such compelling artifacts. Many of these items tell real stories; poignant tales of extreme risk, poor decisions, or unfortunate events. 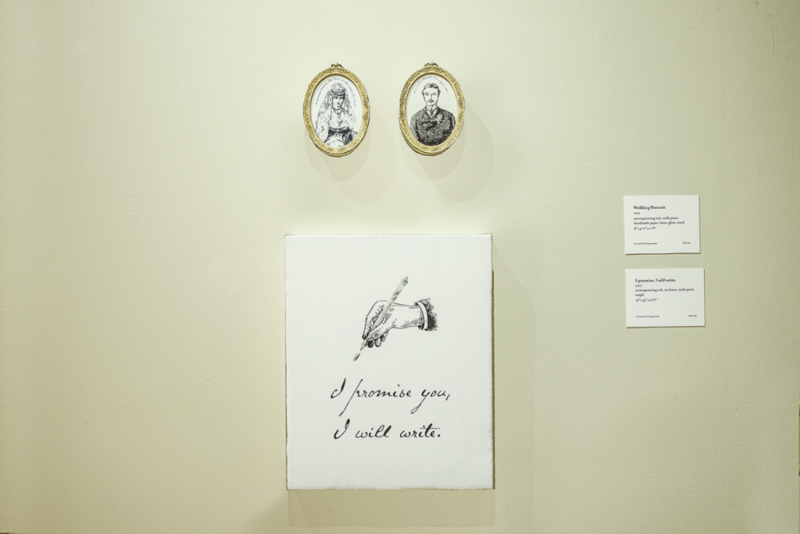 They represent an absurd but earnest attempt to fulfill the human drive to communicate and be remembered. 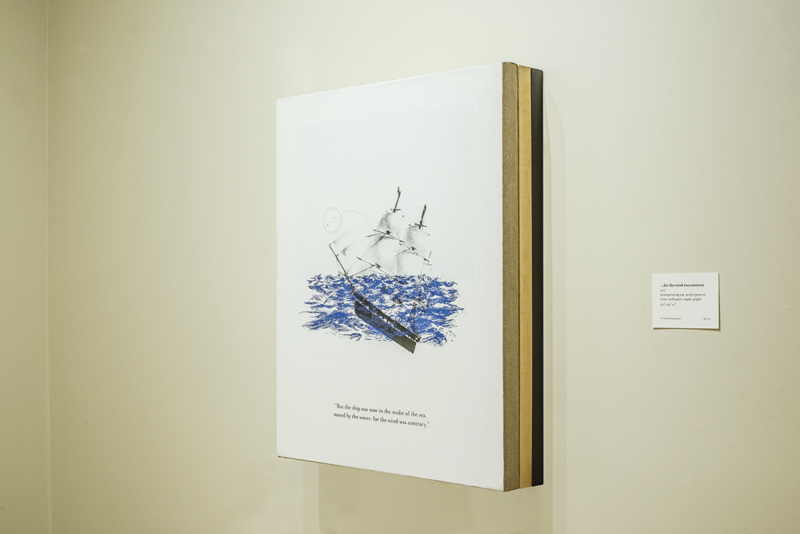 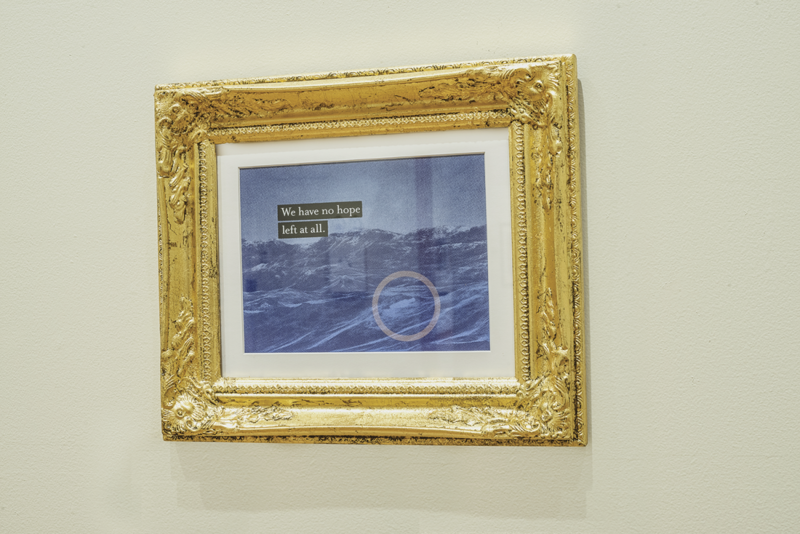 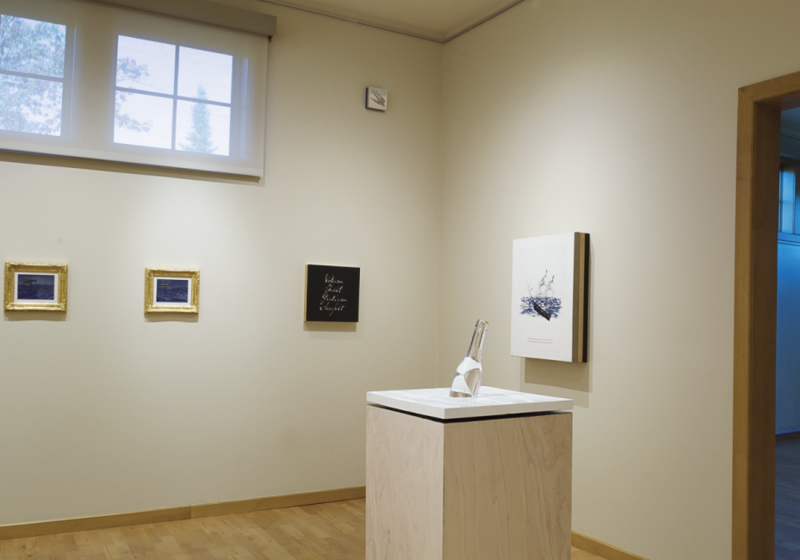 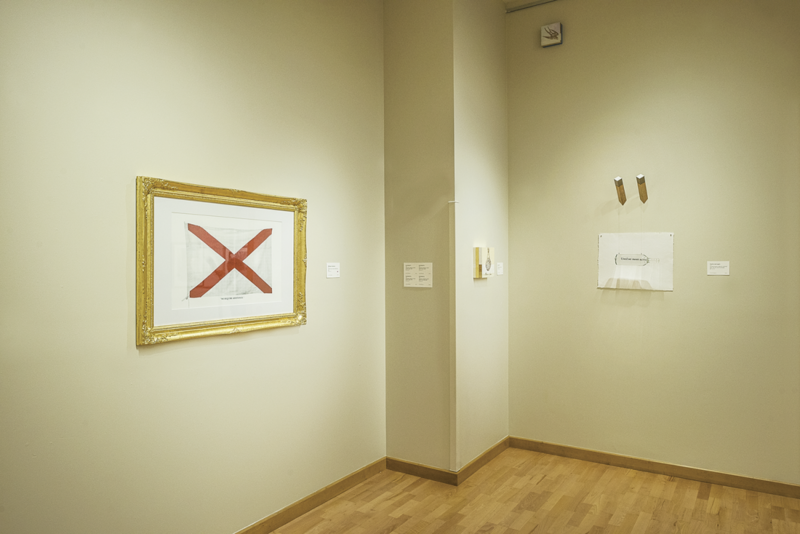 In this show, typography, graphic narrative, and fabricated artifacts invite viewers to ponder the poetic aspects of these messages, and perhaps reflect upon their own tales of connection, adventure, loss, and hope.